This original database features top philanthropic donations by individuals and organizations in Mainland China during the 2017 calendar year. Through the visualization of data in charts and graphs, our research studies the geography of China-based giving and receiving, the range of causes supported, and the industries represented by this giving. We also highlight levels of individual generosity, which measures giving as a percentage of an individual’s publicly disclosed net worth. In 2017, the southern province of Guangdong continued to be the land of giving in China. Home to 30 of our top 100 donors, Guangdong served as the source of about $1.23 billion in donations, remaining China’s most generous region in terms of absolute giving and number of donors. Evergrande Group, headquartered in Guangdong, topped our composite ranking with $620 million in total donations. China’s booming real estate industry continued to produce the largest number of top Chinese philanthropists. Nearly a third (32) of the top 100 donors in 2017 came from the Real Estate industry, followed by Finance (19) and Consumer (11). In 2017, universities attracted the most donors. Half of the top donors (51) donated to universities or university foundations, followed by Non-Government Charitable Foundation (42) and Government or Government Charitable Foundation (40). Education causes continued to receive the lion’s share of 2017 top donations, with 64 donors making contributions in this area. Poverty Alleviation was the second most attractive sector (29 donors), followed by Unrestricted giving (23 donors) and Culture (15 donors). In 2017, Environmental causes still received little attention (8 donors), despite some growth from 2016 (only 2 donors). China’s top individual philanthropists are still overwhelmingly male in 2017. Among the 100 donors in the “Individuals - Total Giving” list, we have identified the gender of 97 individual philanthropists. Among them, only seven, or 7.2%, are women. In 2017, 86 of the top 100 donors donated to charitable foundations, including Government Charitable Foundations (26), Non-Government Charitable Foundations (42) and University Foundations (51). In 2017, almost half of the top 100 donors (44) only donated to their own provinces. 20 donors ranked in both 2016 and 2017 Composite Top 100 Lists. Our new “China Philanthropy Insight Series” seeks to highlight original research, timely news stories, innovative cases, and occasional interviews about Chinese philanthropy. The rise of private wealth is one of the most important developments in modern China, with implications for the country’s social, economic, and political arenas. How individuals choose to deploy such resources will shape the relationships between the individual and the state, between the state and business, and between the state and the social sector. This project aims to strengthen understanding of China’s philanthropic landscape by analyzing the makeup and choices of China’s most generous individuals. We hope the introduction of a metric on level of generosity, while imperfect, will add a new dimension to the discussion on how China’s wealthy choose to support charitable causes. We welcome comments and suggestions on our analysis and methodology through the email address listed below. The findings compile data from a variety of sources including media reports, government databases, foundation annual reports, company websites, corporate filings and trade journals. When possible we have further verified the data by directly contacting the philanthropist or the recipient of the gift. We believe that an independent, verified, and research-oriented database on China's philanthropic giving will enable much-needed quantitative research on the sector and provide a crucial resource for government, academic, media, and non-profit organizations. We will supplement the database with a range of case studies, white papers, academic articles, and interviews with leading philanthropists and leaders of philanthropic organizations. This website will be updated annually. 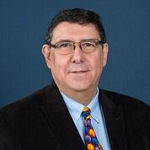 Tony Saich – Ash Center Director. Tony directs a range of programs at the Harvard Kennedy School and teaches courses on comparative political institutions, democratic governance, and transitional economies with a focus on China. A former Chief Representative of the Ford Foundation in China, he also teaches and researches topics related to the development of China’s civil society and philanthropic sector. 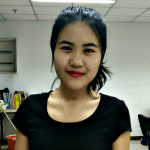 Yunxin Li – Research Data Analyst. 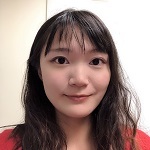 Yunxin is in charge of the data team and responsible for our project's data validation, analysis, and visualization. She develops the project plans, manages the project operation and oversees the overall project workflow. Yunxin received her M.S. in Business Analytics from Bentley University and a B.A. in Business Administration from Beijing Normal University. 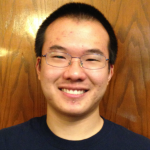 Fangzheng Sun – Research Assistant. 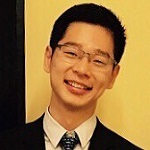 Fangzheng Sun involved in the Chinese donation data collection and analysis in this project. He also participated in US donation data analysis. Fangzheng received his M.S. in Data Science from Worcester Polytechnic Institute and a B.S. in Applied Computational Math from the University of Washington. Edward Cunningham - Ash Center China Programs Director. 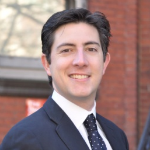 Edward teaches and conducts research related to China's business/government relations, energy markets and governance, international economics and competitiveness, and China’s integration into the world. Most recently he has engaged in work on the rise of Chinese private wealth and philanthropic development. Xiaoxin Xu – Research Coordinator. 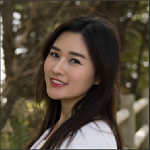 Xiaoxin maps out strategies for data analysis, integrates knowledge on data and philanthropy, and coordinates the data science and the social science teams. 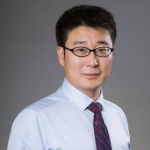 He is an assistant professor at the Beijing Normal University School of Social Development & Public Policy and also a visiting Rajawali Fellow (2017-2018) at the Harvard Kennedy School Ash Center. Chen Xia – Research Assistant. 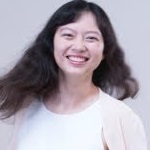 Chen Xia is responsible for collecting, cleaning and analyzing Chinese donation data in this project. She also helps on validating the US donation data. 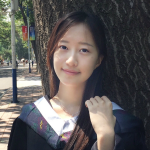 Chen Xia is an Master of Science in Business Analytics candidate at Bentley University. She received her B.S. in Information Security from Fudan University. Yifu Dong – Research Assistant. Yifu writes the blog posts on current and historical issues in Chinese philanthropy. He received a B.A. in History from Yale University. Yifu’s work has appeared in Foreign Policy, The New York Times, The New York Times (Chinese edition), and Caixin. Qunchao Fu – Research Assistant. Qunchao works on data cleaning and data visualization. He was a visiting scholar at the Institute for Quantitative Social Science at Harvard University and is now a Ph.D. student at the Beijing University of Posts and Telecommunications. David Li - China Programs Research Associate. David manages the operations of the project's various pillars - methodology, data collection via internet search and web crawler, website design, and data visualizations. David received his M.A. in International Development from Johns Hopkins SAIS and was a teacher with Teach For China. John McKenna - Research Assistant. A Boston native, John collected and analyzed US philanthropic data from a range of sources for comparison with the project’s data on Chinese giving. 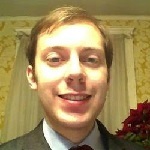 John is a Bentley University MBA graduate with a concentration in Business Analytics. Qi Tan—Research Fellow. Qi researches the history of Chinese philanthropy, putting current policies in a historical context. Qi has extensive experience in China’s rule of law issues in the area of public interests lawyering, open government information, public participation, and disability rights and advocacy. Xueshan Zhang - Research Assistant. Xueshan spearheaded our project's data methodology, automated search and extraction design and execution, and verification process. Previously, she was a data scientist at Microsoft and has a M.S. in Computational Science and Engineering from Harvard. 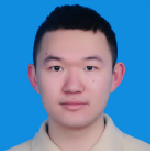 Haiyang Feng – Research Assistant. 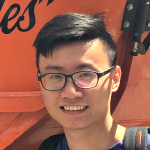 Haiyang assists Professor Xu in creating data labeling standards and incorporating manual search standards into the web crawler. 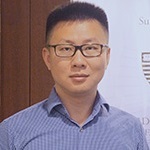 He is currently a doctoral student at the Beijing Normal University Social Development and Public Policy School, researching mass media and public policy. Yi Ji – Research Assistant. Yi works on the manual labeling of data, determining rules for machine learning and high frequency vocabulary composition. 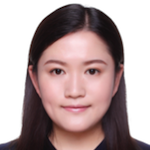 She studied at the Beijing University of Posts and Telecommunications and is currently a Masters in Management student at Beijing Normal University. Lingyun Li – Research Assistant. Lingyun helps with running the web crawler as well as data extraction and data cleaning. 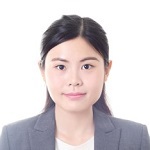 She is currently a graduate student at the Beijing University of Posts and Telecommunications, researching textual categories and information extraction for Chinese natural language processing and Chinese language sentiment analysis. Yiru Liu - Research Assistant. Yiru involved in collecting manual data on this project and analyzed Chinese data with US data. She was an undergraduate student at the Guangdong University of Foreign Studies and obtained an Master’s degree from Boston University in Economics. 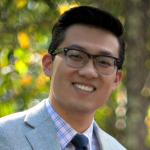 Yawei Sun – Research Assistant. Yawei is responsible for extracting donation entity names and Chinese language semantic labeling. 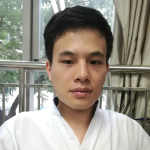 He is a graduate student at the Beijing University of Posts and Telecommunications, studying textual categories, information extraction, and semantic labeling. Bo Zhao - Technical Advisor. Bo collected data by setting up and running our web crawler, which conducted automated searches for relevant donation news. He also provided advice on data geovisualization. Bo is an Assistant Professor at Oregon State University in the College of Earth, Ocean, and Atmospheric Sciences.